Stage Concepts have been supplying custom Truss Exhibition Stands to the trade show industry for over 10 years. We can help guide your purchase from the design stage of a custom order, to the supply of a complete ready to go Truss Exhibition booth package. Unlike buying standard individual trussing pieces, the truss systems we are supplying are professionally designed exhibition stands and trade show stands, with structures that are available in various sizes as a complete package, which includes all the fittings and fixtures required. The exhibition truss systems have many applications, from a temporary shop stall, car shows, outdoor events or hall floors, and are perfectly suited for an easy transportable exhibition stand. 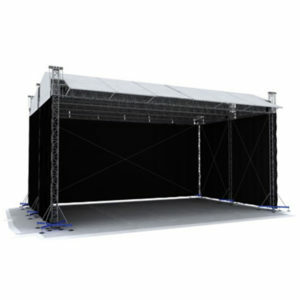 The frames are dimensioned for the easy installation of ready made curtains, drapes, banners and display screens, and for simple attachment of lighting and sound equipment, all of which we can supply to you from our vast selection of staging accessories, offering you a complete bespoke package. Cant find the exhibition stand or trade show booth you want in a pre packaged system ? No problem ! We also offer a custom Truss manufacturing service via our UK workshop. We can work with you to create exactly the design you want, with a multitude of finishing options available such as laser cutting of logos, powdercoating, and custom mount frames for large screen TV’s, vinyl and fabric printed banners, flooring materials, and all the other accessories necessary for a fully finished system. 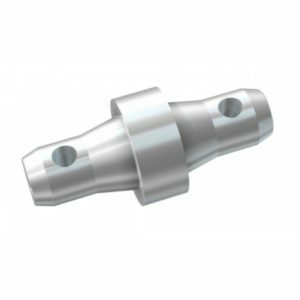 With every custom order you shall be supplied with 3D Cad mock ups during the design stage of the process, which helps all parties involved to gain a clear vision of the desired system before any expensive metal is cut. This versatile tool also allows the costings and manufacturing side of a build to be a much simpler task, so speeds up the entire service from plans through to delivery. We have supplied professional exhibition stand building companies, fashion brands for shows, car manufacturers for showrooms, AV companies for shop display and mobile use, shopping centres and private individuals for temporary shop and stall use, and the exhibition market. Professional stand build and dismantle service available (external company/contractor). To compliment our exhibition systems, we also offer a range of custom printed signage, banners, truss display fabrics and flooring to give your display the professional look it deserves. Banners and branding systems can be supplied on fabrics, canvas, foamex board and any other material you may wish to use. They offer the perfect finishing touch to any professional booth or stand setup, giving you clear and visible branding and information surfaces. Truss and pre-packaged exhibition stands are available from manufacture in strong powder coat finishes in all the standard RAL paint colour codes. This option gives the truss a lovely coloured gloss finish that is extremely tough, and can really make an exhibition stand or booth have that visual punch that will separate it from those around it. 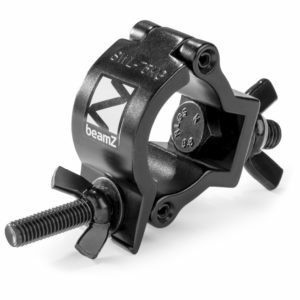 Powder coat finishing is available as an additional cost on all our Truss. It requires a small lead time as finishing is done to order. 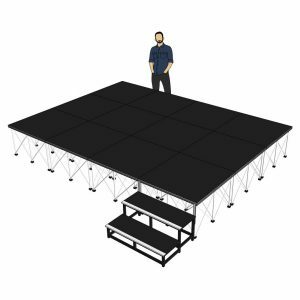 Suitable for anything, from use as simple tables, to supporting a car or motorcycle on your stand, our extremely durable Stage Decks lend themselves perfectly to the Exhibition Stand market. 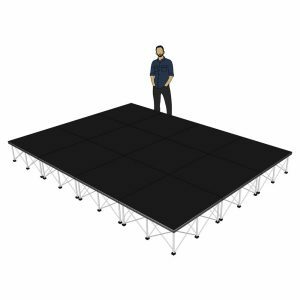 Designed for huge strength and loading capability, our standard 2m x 1m platform is safety rated at 750kg/m² which is more than enough for most bikes, and four decks will happily support a car no problem, allowing you to get creative with your stand layout. 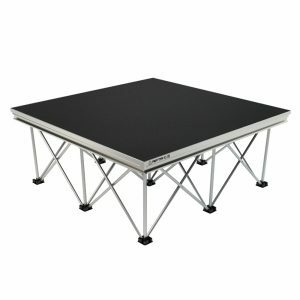 Available in anti slip black finish, or plain wood finish for easy application of carpet or any surface type you wish. 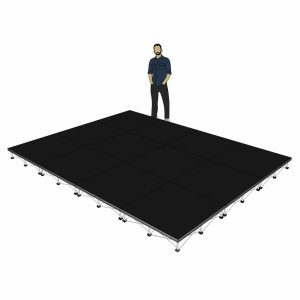 Also great for product displays and demonstrations on your Exhibition Stand, the lightweight Spider Staging system gives a strong 1m x 1m platform with a choice of riser leg heights. 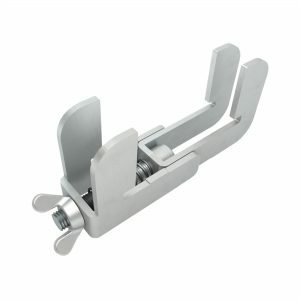 These are easy to use, and can be put out of the way when not required. 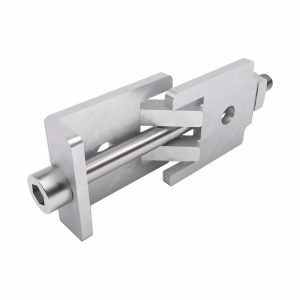 They also feature immense loading capabilities, 500kg/m² and prove themselves to be extremely versatile in a working environment.